video title: #MemoryoftheUniverse | "Syria Planum: For Water for Oil"
Alysse Stepanian is a Los Angeles-based and Iranian-born transmedia artist, independent curator and writer. Her creative work and research are focused on the effects of nationalism and politics of fear, and the importance of intersectionality in fighting injustices such as racism, sexism and speciesism. 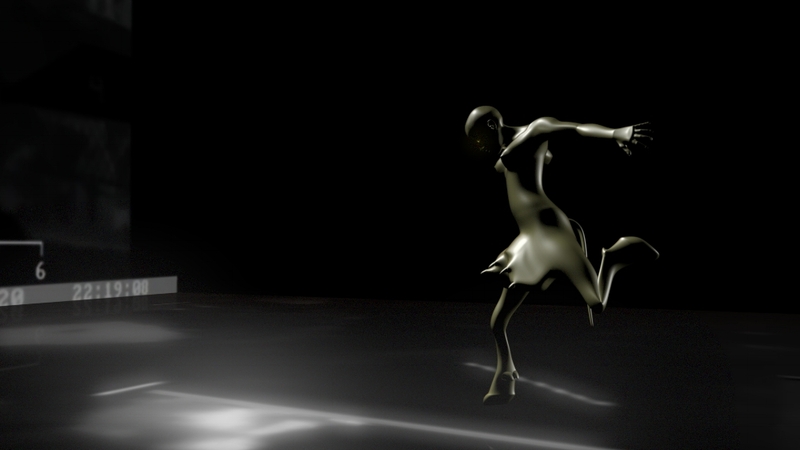 Her works span across a variety of media, including 3D animation, video, performance, installation and text. For her art is about creative problem solving and finding unexpected connections between concepts and events, a sort of philosophical mathematics that expands human consciousness. Her recent projects include #MemoryoftheUniverse, a series of 3D animations of speculative fiction combined with current global events, and Autonomous Agency, an initiative that includes a publication, highlighting the necessity of creative action against various expressions of bigotry and oppression. She has participated in over 330 events in 48 countries and has lectured about interconnected oppressions concurrent with her co-curated exhibition of video art by 20 Iranian women at the Pori Art Museum in Finland (2015), Malmö Konsthall in Sweden (2014), and Museo Ex Teresa Arte Actual in Mexico City (2013). Her exhibitions include MADATAC at Centro Conde Duque (Madrid, 2017), solo show with performance at DEUX [dø] Gallery (Marseille 2016), The State Darwin Museum (Moscow 2016), Contemporary Art Ruhr (C.A.R.) (Germany 2016), Perez Art Museum (Miami 2016), Museum London (Canada 2013), Freies Museum (Berlin 2012), and Contemporary Museum (Baltimore, USA 2011). Stepanian is the creator and curator of Manipulated Image video art screenings and multimedia events, and URBAN RANCH PROJECT, an “animal” advocacy and social and environmental activism arts venue based on Facebook. Her collaborations include multimedia installations created with Philip Mantione under the name BOX 1035 at Kunsthaus Tacheles (Berlin 2006-7), Imagine Gallery (Beijing 2006), and the Islip Art Museum (New York 2006), with an emphasis on post-9/11 color-coded politics of fear.